Sign Up For Our Email List For Band News & Schedules!! Weird Science is a non-stop hype, energetic, and interactive party group. 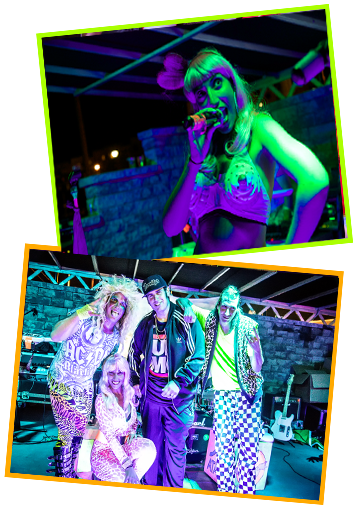 This professional troupe performs all of the chart topping hits spanning the 80's, 90's & Pop2k. Weird Science consists of five members: Myndi Lauper, Sebastian Rock, Willy Idol, LL Cool K and Eddie Van Hanson. Weird Science is now booking casinos, resorts, corporate/private events, weddings, and nightclubs along the East Coast.